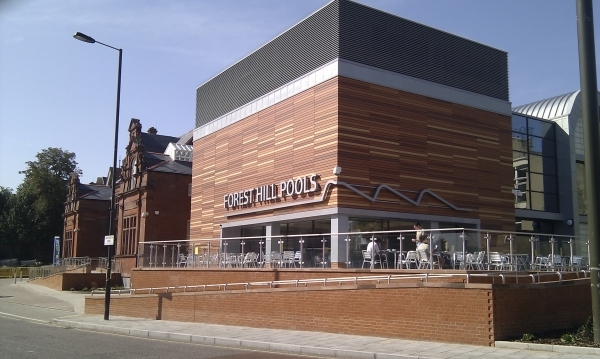 At the Mayor and Cabinet meeting on the 25th February, the Mayor Sir Steve Bullock decided to go ahead with a further consultation on the options for Forest Hill Pools. The options that he has decided to consult on take a very narrow view of what it is possible to achieve, fail to look at the issue in the round and ignore the strong views of Forest Hill residents who both want to see swimming return to Forest Hill in the near future but also want to see a pool on the pools site. Deliver a pool on the Willow Way site in 2012 and to fund it through housing (up to 60 flats) on the existing pools site. The concern is that both of these options create significant problems for Forest Hill. Under both of these alternatives the pools site is likely to remain empty and semi derelict for a number of years and neither option provides the short to medium term support for the town centre that it desperately needs. Whilst there is an argument that says that Willow Way is not an entirely bad site for a new swimming pool, this isn’t the case if you have a better site in the town centre, ready and waiting. As you will be aware what the Forest Hill Society had been pushing for is an option that would meet the majority of residents and pools users requirements – and at the same time underpin the Dartmouth Road end of the Town Centre. This focussed on the designs for option 2 but sought to find a way to make it affordable and to deliver it now. To us the advantages of option 2 are clear, we believe it would be a way of uniting the various groups who all have different objectives for the project and developing something of which we could all be proud. Provide the simplest route through Planning as it is sensitive to the adjacent listed buildings and the potential Conservation Area Extension. In fact at the Mayor and Cabinet meeting Steve Gough, the lead officer for the project said that the Option 2 Pools would be the simplest to deliver, if it could be funded. The potential problem with funding this option relates back to the Willow Way site and the potential to redevelop it for a mix of residential and employment uses to cross subsidise the pools proposal. At the stakeholder meeting a couple of weeks ago the only barrier presented to achieving this was a planning issue related to the loss of employment on the site. Having looked into this further we believe that there are ways of making an argument for mixed uses on this site that could be in accordance with this policy, particularly as Lewisham are in the process of rewriting their Planning Policy framework at the moment. Key to this is the fact that under both of the options there would be no net loss of employment across the two sites. In fact option 2 might actually increase jobs if commercial and employment is provided on Willow Way alongside the housing, and it would also help support existing and new employment uses in the town centre. So we believe with the right argument this is possible and that therefore option 2 is affordable now, with less planning risk than option 3. Another issue that has been raised by this process is that The Mayor and elements within the Council seem to believe that there is a silent majority out there that disagree with all of this and don’t care about the location of the pool, the town centre or housing on the pools site and who think the Forest Hill Society and other groups and residents are just being obstructive to swimming. 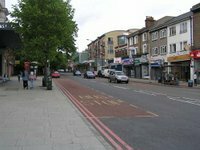 We would really like to hear from a wider range of people as it would be really helpful to know if we are really being that unrepresentative, although we use a variety of methods to get opinions from across all aspects of Forest Hill residents - members and non-members. However, consulting on the 2 consultation options as currently set out will not tell us this as it is not based on fair and reasonable propositions about what may be possible and, as with last summer's consultation, is unlikely to give space for those who disagree with both options to contribute their opinions. Whilst the consultation options as they appear to stand at the moment do force a difficult decision for residents it seems odd to set up a consultation whose result is going to alienate a large proportion of residents either way, particularly when better alternatives exist. The one small piece of good news to come out of the meeting was that the Mayor stated that the stakeholder group should continue to be part of the pools project going forward and that a stakeholder meeting should be set up in the near future. This was in contrast to the draft of the officers report that appeared to say that they didn’t like the constituency of the current stakeholder group and that they should get rid of it and put together (a more agreeable) new one. How the Forest Hill Society form part of this group and what our role is going forward we are currently considering. However, we will continue to seek the best solution for the majority of residents and users of Forest Hill. So the really strange thing about all of this is that the Council don’t seem to want to find a solution that could meet the requirements of the widest range of residents and swimmers, they want to press ahead with a scheme with significant disadvantages when considered in the round. In contrast to the view put across by the Mayor that this is a “choice between buildings or swimming”, there is another way, that could be delivered within the Council's £9.5m budget, that could be delivered soon, and that from the feedback we have had a great many people would support – they just don’t want to give any of us the opportunity to be consulted on it. Please get in touch with us if you have views about these options or the pools project and particularly about the view the Forest Hill Society should take going forward.